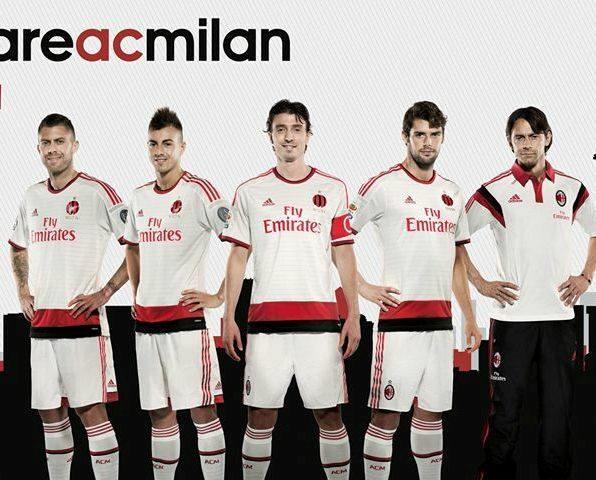 This is the new Milan away kit 2014/15, AC Milan’s new alternate strip for the upcoming Serie A season. 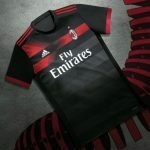 The new Milan away jersey 2014/2015 has been made by Adidas and was officially unveiled on July 23rd by the Rossoneri. 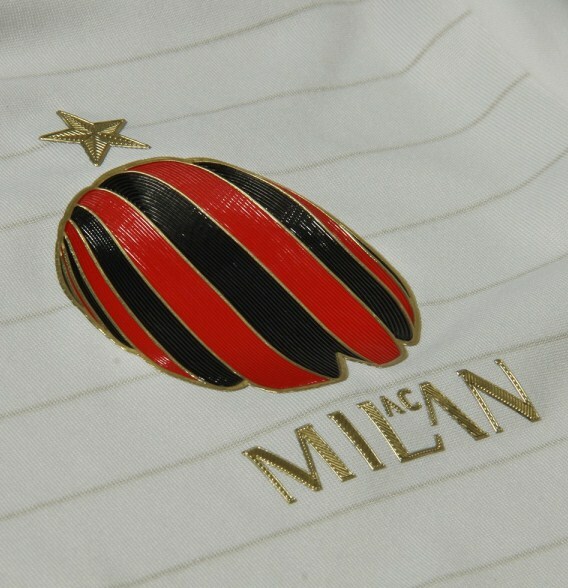 The most striking part of the new Milan shirt is the presence of the Casa Milan logo where the club crest usually is, meaning that all three Milan kits for the new season have different “badges”. 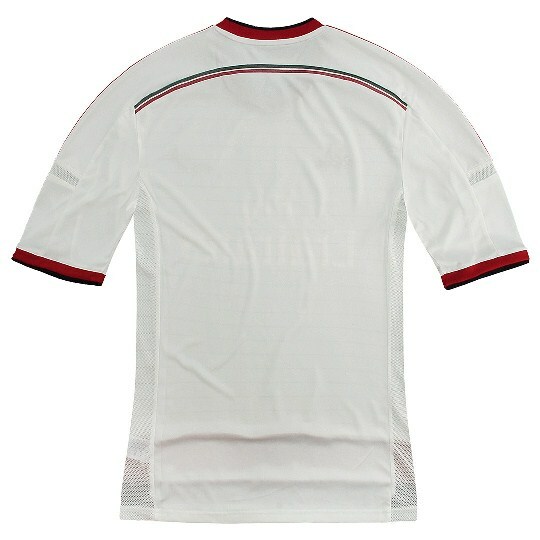 This entry was posted in Italian Serie A and tagged Adidas on July 23, 2014 by Football Kit News. So adidas can make bad shirts. Sometimes they are too engineered. A putrid effort by Adidas here. 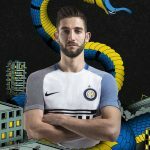 Disappointed with this kit and the badge, what on earth is going on there? 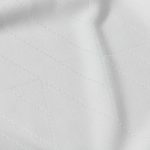 Hmm wonder if it’ll look like an all white kit if the players tuck in their shirts. 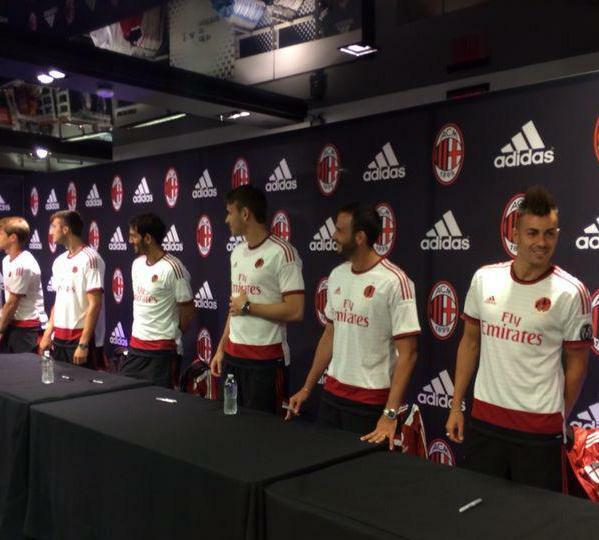 thats the height of bad design……..
what’s the bloke in the Polo shirt doing there ?? Surprised all the negativity. 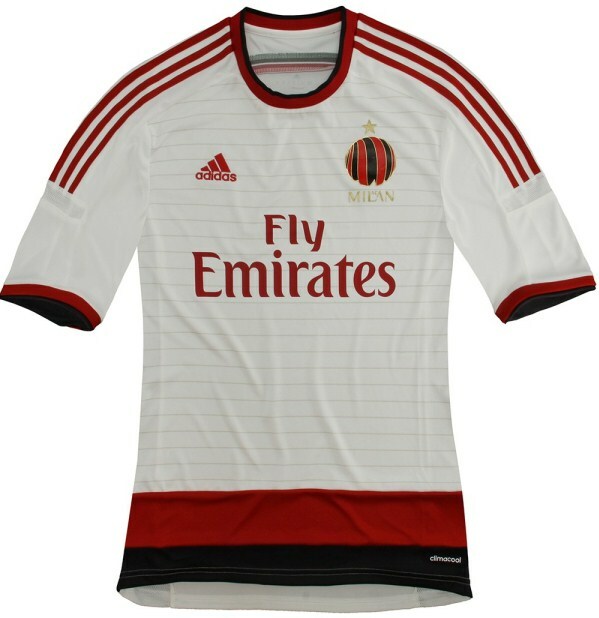 I think its a gorgeous kit, very classy and elegant. I actually think the badge looks good.